Nokia, leading mobile phone manufactures, has unveiled two new classic phone in India. The phone, Nokia 6700 Classic & Nokia 6303 Classic, were launched by Bollywood diva Priyanka Chopra. These sleek mobile phones have been equipped with most advanced features with superior functionality and premium finish at competitive prices. 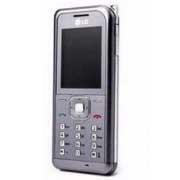 The stylish Nokia 6700 Classic comes with a 5 MP camera, for voice quality uplink noise cancellantion, MP3 player and FM radio, 2.2" QVGA display and 170 MB internal user memory. This advanced instrument has a price tag of Rs 14,000. The phone is available in two attractive colours-- chrome and black. The Nokia Classic phone's 5 MP camera with autofocus and integrated flash and dedicated camera key promises great pictures, which are easy to share by uploading on social networking sites or via MMS and email. On the other hand, Nokia 6303 sports 3.2 MP camera intergrated with 8x digital zoom and autofocus, same FM radio and MP3 player and 17 MB iunternal memory. It comes in steel and matt black colours. It is priced at Rs 8,000. Nokia's other most sought out mobile phones are Nokia 7210, Nokia 5310 and Nokia 6300. LG GB210: The new LG Gb210 is better known as a stylish phone comprising new looks viz Metallic finish, RockeTalk and back speakers. 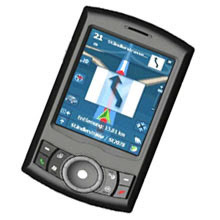 It is well equipped with the camera of 1.3 MP along with video recording. It also comprises of Mp3 player , radio Fm and equalizers providing amazing sound quality to the listeners. The phone has standard battery 1100 mAh and gives the performance of talk time upto 10 hours. 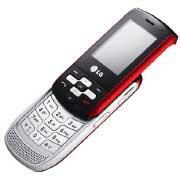 Moreover, The LG Gb210 is said to be a pocket friendly cell as it is available for just Rs.4399. 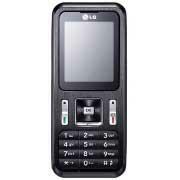 LG KP265 : it is said to be a curvy cell phone with oriented slider makes it a handset which can be an eye candy of people.It has camera of 1.3MP giving people facility of video recording. MP3 player with Equalizers and FM radio gives a superb sound quality and make people enjoy music 24/7. The900 mAh battery gives the talk time performance for 9 hours and the phone is available for Rs.4999. Both the handsets comes with a feature better known as RockeTalk feature which is Social Networking and Instant Messengers aggregation application which enables a user to keep in touch with people from anywhere in the world. Gtalk, Yahoo Messenger, or send a message in any combination of text, voice, pictures, audio or video are the additional features. The LG GB270 comes with changeable design cover and themes to give you two different styled phones in one phone. The company claims to provide a with super experience and innovative features which will help the company to build its identity in the market and the company also believes in strong bonding with customers which is actually beneficial for the company only. HTC Hero to receive heroic welcome! Much awaited and much talked about new generation mobile phone HTC Hero is to receive heroic welcome in India. What makes it most looked forward! It's operating system that is Android. The phone incorporates 3.5mm headphone jack, 5 Mp camera, Flash Video and so on. This global phone can end the search of a high-tech web based phone. It will be handled through touch screen. Managing contacts in text, emails, calls and social networking etc. will be easy. It is needless to say that listing music, capturing special moments and enjoying hassle free web service to become a memorable experience. there is HTC Sense. Sense is HTC's custom build of Android that contains stunning UI improvements and unique application features, not to mention support for Flash videos and multi-touch web browsing. The handset is completely touchscreen. It comes in seven different eyecatching colours such as black, white, yellow, pink, gold, red and turqouise. The Hero also features Bluetooth 2.0 with EDR and A2DP support, 512MB/288MB ROM/RAM, Internal GPS, 802.11b/g WiFi, microSD expansion and G-sensor. The much awaited HTC Hero is pitted against Apple iPhone 3GS and Nokia N97. Meanwhile, a good number of high-end mobile phones launched across the world except India.